People too often underestimate the power of words – the absurd, the reverbs. Words really can define the direction of one’s life, changing it from dark to light, from day to night, from blind to sight. A few words can inspire, liberate, desire to be one’s best. However, to the contrary, words can also defeat, destroy, debilitate, make one’s life a mess. I mean, what we’re told by others, we often believe – heart on a sleeve – sometimes we’re left to flourish, sometimes we’re left to bleed. And, it’s for these reasons why we must choose every word carefully, deliberately, thoughtfully, where our words positively impact, not negatively detract. Though the doctors said there was little chance that he would walk again, our family refused to accept this devastating prognosis. We began doing research, determined to move Heaven and Earth to make Robert whole again. In those two sentences are words that made me realize something that I’d never had the courage to admit to myself before: I’m not a whole person, just a partial equip. See, the fact that I’ve never walked makes me incomplete, a lesser person, someone not whole, my existence a burden. And, after fully realizing those few words in that eloquent, poignant charity letter, I understood how worthless I am, how meaningless of life I live – I am useless, a never-do-better. And, it’s devastating to my core, a struggle to live with myself like this – a fragment of a man, deserving dismiss. I mean, can you imagine the pain that my daughter has endured, being raised by me, an incomplete father, a lesser person, someone not whole, to be abhorred? How could I let my disability do this to her? And, how much suffering have I caused my family, friends, colleagues, and community? And, as for the women in my life who have come and gone, who can blame them – they deserve better than half of a man, me. As one who cannot walk, who’s not whole – whose incompleteness has let everyone down – I have one thing to say from the depths of my heart, to write down: I am sorry for who I am, I regret who I am, and forgive me, Father, for what I’m not, not living to what life expects. Words can never express all of my regrets. And, yet, those words, you see, aren’t me – I am whole, complete, and worthy, regardless of disability. However, here’s the question that truly terrifies me: If Robert is hearing such words from his family – Unless you walk, you’re not whole, you are not worthy – does he believe them? 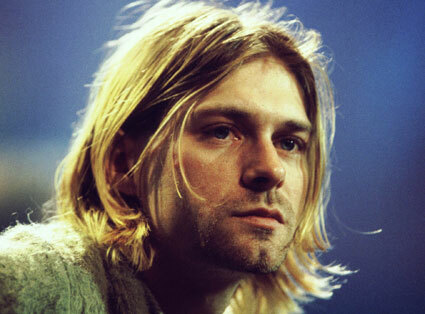 There were many reasons why Kurt Cobain of the band, Nirvana, killed himself on April 5, 1994. Suicide, you see, is often a very complex process, rarely attributed to a sole cause, but most often a culmination of unbearable emotions. However, as fellow musician, Henry Rollins, put it, much of Cobain’s issues leading to his suicide could be traced to “the brutality of the public” – that is, the challenges of being in the public eye, where strangers can be astoundingly cruel, where Cobain, himself, discussed being too sensitive to endure criticism by the public, robbing him of his sense of identity. When I started WheelchairJunkie.com 15 years ago, two aspects surprised me. Firstly, I was surprised by its success. After all, I created the site simply as a small place for my fellow wheelchair users and me to connect. However, its readership didn’t just grow rapidly in the beginning, but has continued growing ever since, where I’ve been forever amazed that such a personal project could reach so many – and I’ve been blessed that others have allowed me the privilege of being part of such a terrific community for much of my adult life. Secondly, following the launch of the site, I was surprised by, as Rollins put it, “the brutality of the public,” which grew proportionately as the site’s popularity grew. I don’t recall exactly when my readership grew large enough to tip into the realm of my being somehow recognizable enough to become a target of “the brutality of the public,” but at some point relatively early on, a complete stranger emailed me in hatred of who he thought I was or represented. Now, in my 15th year of running the site, based on the vast readership, not a day passes where I don’t awake to an email or message board post where a total stranger – sometimes several – wants to argue with me, condemn me, or literally wish me dead. However, rather than being distraught over strangers wishing me ill over my public persona – although my public persona isn’t a persona at all – I’ve been intrigued by the phenomenon as it’s occurred for well over a decade in my life. What’s intriguing is the question of why anyone in the public would hate me to the point of wishing my death, or at the very least stating, “I disagree with Mark on almost everything….” If we look objectively at my “public profile,” it’s about as mundane and noncontroversial as it gets. Read my weekly web and print articles and essays, read my message board posts, follow my Twitter and Facebook, and you’ll see that there’s no controversy (most of it is so feel-good or sincerely striving to be helpful that it borders on boring). Still, you’ll see comments directed at me that are antagonistic at best, shockingly graphic in wishing me dead at worst. But, why? In a parallel, strangers hating me reminds me of what I know about Jennifer Aniston. Year after year, Jennifer Aniston receives among the most death threats of any celebrity. What has Jennifer Aniston ever publicly done that could possibly upset anyone? So, I suppose that if someone as noncontroversial as Jennifer Aniston is among the most hated celebrities, I, as a guy simply striving to help others in a similar situation to mine as one with a disability, shouldn’t be exempt from unexplainable hate from strangers, as well – after all, there’s no rationale to the brutality of the public, strangers merely inappropriately projecting their angst upon us. If you have a large enough audience, regardless of who you are or what you do, the brutality of the public emerges. Nevertheless, when it comes to enduring the brutality of the public, I have a tool on my side – and you may, too – that most others in the public eye don’t have: Disability experience. See, if you’ve lived with disability for many years or a lifetime like I have, you likely know how brutal the public can be. From time to time, strangers will make assumptions about us based solely on our disabilities, projecting stereotypes and stigmas upon us that are completely irrational. It can be offensive and distressing. Yet, when it occurs, if we’re rational and self-accepting, we’re not offended by someone treating us arbitrarily different based on disability, but we instead recognize that a stranger’s ignorance toward disability is of no ultimate consequence as long as we know who we are. Therefore, there’s a fascinating overlap between disability experience and public experience, where void of rational explanation, strangers make completely inappropriate projections upon us – and it’s our job to not be offended by it, but to just recognize that it goes with the territory of public exposure. Yet, there’s an even larger picture to all of this, life truths that apply to everyone. If we’re going to find ultimate fulfillment in life, we must be so resolute in our core values – in following our hearts of hearts, our passions of passions – that we’re simply not swayed by outside forces. Praise shouldn’t matter. Criticism shouldn’t matter. Peer acceptance, the support of our families, money, fame, a risk of failure – none of it should matter. If we are to be ourselves to the most true, sincere levels, we can’t be swayed by others – all we can be is who we are, where the brutality of the public is voided by our own unwavering integrity. Unfortunately, as Kurt Cobain ultimately failed to realize, true singers sing solely for the sake of one’s own soul, not for the praise or criticism of an audience. For, when it comes to seeking acceptance, we should look no farther than ourselves. It’s intriguing – and bizarre – how some within the disability community are appalled by the concept of “disability awareness programs,” going as far as to belittle their peers with disabilities striving to raise the public’s understanding toward living with disability. There are even groups with disabilities who literally protest others with disabilities for engaging in disability awareness programs. Now, you may be logically wondering why some with disabilities would criticize and protest others with disabilities for striving to raise awareness? After all, doesn’t disability awareness benefit everyone, including both those with and without disabilities? Of course it does; but, let me explain the critics’ argument because their position has some merit – that is, until we analyze the entire picture. I agree whole heartedly with the critics that I cannot teach anyone what it’s like to be me – that is, one with a severe disability. Through the various disability awareness programs that I’m involved in, I can express to non-disabled individuals a bit of what it’s like to have a severe disability, but they can’t possibly understand the true day-in, day-out physical, emotional, mental, and social impacts that living with a disability entails. And, this fact holds true for any of our understandings of other groups beyond which we belong. For example, I know of the struggles that many who are gay can face because I’ve been made aware of the issues through reading, hearing, and meeting those educating others and raising awareness on the topic. However, as a straight man, I truly have no idea what it’s like to be gay in America, as everyone has always supported the fact that I’m heterosexual – that is, I know of the struggles that one can face being gay, but I can never really know what it’s like to literally be gay since I’m straight, and my sexual preference has never been questioned or condemned by anyone. It’s this issue – that we can’t literally teach others what it’s like to be us – that the critics argue makes disability awareness programs unsuccessful. However, the critics take it one notch further – they actually think that disability awareness programs diminish others’ views of living with disability, making our lives appear as frivolous. After all, they argue, if you place an able-bodied kid in a wheelchair, they turn it into fun – and there’s nothing fun about living with a disability. According to the critics, then, disability awareness programs are nothing more than a mockery of disability experience, a modern-day freak show for others’ entertainment. However, where the critics wholly miss the target is that disability awareness programs aren’t about making strangers “disabled”; rather, disability awareness programs are simply about increasing awareness. The fact is, as disability educators, we can’t literally make able-bodied people disabled, and, therefore, of course they’ll never understand the whole experience. However, what we can do is raise their awareness of disability in general, in engaging ways, through exposure to those with disabilities – and that, in itself, is of vital importance. See, as humans, we fear the unknown, and when it comes to understanding others who are diverse from us, the unknown breeds apprehension, ignorance, and stereotyping – none of which we wish directed at those of us with disabilities. The only way to overcome this is through making others aware, even in the smallest of ways, that people with disabilities are simply people, too. And, it works, where an able-bodied person’s positive experience in learning about disability almost always remains with them as they go out into the world. Sure, having able-bodied kids play wheelchair basketball as a disability awareness lesson seems frivolous compared to our actually living with disability; however, the process allows the children to intrinsically build a better comfort level, seeing a wheelchair not as an unfamiliar, frightening device, but just as a wheelchair – and, as a result, they’re more likely to see people who use wheelchairs in a more accepting light. It’s just common sense: Awareness helps create understanding. All of this brings us back to the original, logical question of, why would some with disabilities criticize others’ efforts to increase disability awareness, especially since it serves everyone in such positive ways? Because, in many ways, such anti-awareness individuals misguide themselves toward self-defeating hypocricy. They claim to want social equality, but they refuse to interact in positive lights with others or make any effort to improve societal views for the better – instead, their irrational protesting of awareness programs makes them look as detached extremests, actually harming how others’ view of those with disabilities. And, we have to ask, what does such divisive behavior gain for any of us? The answer is, nothing. In fact, it sets us back. 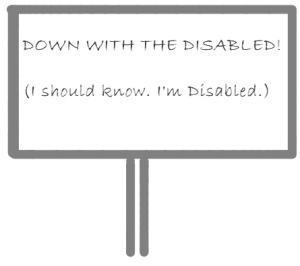 If a city holds a disability awareness day, and individuals with disabilities protest it, the average person watching this play out on the evening news rightly asks, What the heck is wrong with these people – they’re protesting themselves? When you break down the subject of people with disabilities protesting disability awareness efforts at any level, it’s strikingly irrational – hypothetically like cancer survivors protesting cancer awareness efforts. Of course, I realize that we can’t change the opinion of someone with a disability who’s extreme enough in his or her views that he or she criticizes or protests disability awareness. However, it is regretful that such individuals strive to defeat others’ good efforts, especially since we know that disability awareness programs work. In my own case, I’ve seen the positive effects first-hand that disability awareness programs bring in my working with thousands of Boy Scouts this past summer. Among the most touching results that I’ve witnessed is that I’m currently involved with several Eagle Scout candidates around the country who, based on going through the disability awareness program, switched their Eagle Scout projects toward efforts that serve the disability community – that’s a very real impact. Indeed, as I’ve witnessed time after time, it’s through disability awareness that individuals see less of a disability and more of a person in the end – and such powerful results should be fostered and pursued, not criticized and protested. Come to think of it, maybe the critics with disabilities who don’t understand the importance of disability awareness programs need to attend a sort of disability awareness program of their own, where they learn that it’s not the wisest effort to protest oneself. One couldn’t say that I have an anger management problem by any stretch. In fact, I’m among the easiest-going, happy-go-lucky guys around – very little ruffles my feathers. But, that doesn’t mean that I’m not fearless – arguably to an absurd point – where I won’t grab a guy by the shirt who’s being a jerk in public, welcoming a little scrap with another dude when called for. I’m sure that my brother helped instill fearless bravado in me when we were growing up. After all, it makes no intrinsic sense for me, as a guy with cerebral palsy, using a power wheelchair, to be the one guy in a scene to grab a jerk by the collar, pull him into my spit-firing, vein-bulging face, and tell him in words that I can’t use here that if he doesn’t settle down, I’m going to rip off his limbs and eat his heart while it’s still beating. See, my brother and I are six days less than a year apart, and we were raised very much like twins, right down to always having the same clothes and toys. In a psychoanalytic way looking back, I think that we were both always trying to distinguish ourselves from each other – and that included via never-ending brotherly brawls. For better or for worse, it never seemed to matter that I had cerebral palsy and my brother didn’t – when we fought, we really fought. In no mixing terms, we beat the heck out of each other, both playing on our strengths, as well as the other’s vulnerabilities. He knew that he could punch me and run, and as long as I couldn’t catch him, he would win, leaving me with a black eye, busted lip, or such. Yet, I knew that if I got my hands on him, he wasn’t getting away – I’d throw my good, strong right arm around his neck, and try to choke the life out of him. I know that child psychologists frown upon sibling rivalries nowadays – and I don’t tolerate such violence among the kids in my own family, where I’m always reprimanding my two nephews for antagonizing each other – but, when my brother and I were kids, duking it out seemed par for the course. As adults, my brother and I laugh about it all now, and joke about how inherently bold it made both of us. After all, in my brother’s case, if he’s beat-up a kid with cerebral palsy, that’s probably not a guy scared of punching just about anyone. And, in my case, as a kid with cerebral palsy raised to give and take punches, an absurd fearless toward fist-to-cuffs has stuck with me, as well. In fact, my buddy, Jeff, and I inadvertently ended up in the front row of a concert not too long ago, and when the drunk idiots around us started going nuts, bumping into me, I started swinging. Jeff seemed a bit concerned at first, but once I grabbed and punched a few people – and the crowd figured out to stay away from this guy in a power wheelchair – Jeff seemed a bit reassured that I wasn’t going to get us killed. I suppose people figured that if I was crazy enough to be in a mosh pit in a wheelchair, swinging on people, they should probably just stay away from me. Now, my brother and I are both successful in our careers, with kids of our own – living as wholesome, law-abiding, God-fearing citizens – and neither one of us are the types hanging out at country-n-western bars looking for fist fights (beyond my inadvertently ending up in a mosh pit, that is). However, my one short fuse relates to jerks in public, especially those disrespecting women – and I’ve become bolder in my reactions since raising my daughter. I have zero tolerance for guys disrespecting women in public – guys gawking, making inappropriate comments, or such – and I have no qualms about straightening out the situation in real time. Word must have gotten around about my short fuse because I was out with a female friend, and she commented to me that a creepy guy was staring her down. However, before I could turn around and see who it was – and impulsively roll over and pick him up by his shirt – she asked me not to do anything, not wanting a scene. I did as she wished, didn’t move, and continued with our conversation. However, I wondered how she knew that I was the kind of guy who would create such an over-the-top scene, that I wouldn’t have any hesitation about grabbing a guy by the shirt and explaining to him in four-letter words how to act around ladies in public? A few days later, I asked my friend how she knew that I was immediately ready to roll over and grab the guy by his shirt? She said that she recognized me as the protective type, and when she saw me intuitively go for my power wheelchair’s joystick, ready to spring into action, she knew to talk me down quickly. I’ve always wondered what has gone through the minds of those few individuals over the years who I’ve confronted regarding their poor behavior? When a well-dressed guy with cerebral palsy, using a power wheelchair, rolls up to you, and says things into your ear that could never be said in a PG-rated movie – adding up to, If you don’t leave right now, I’m going to rip your heart out and eat it as an appetizer – what really goes through your mind? Or, on the few occasions when my words weren’t convincing enough, when I’ve literally picked them up by their shirts, what were they thinking as the weight came off of their feet, as I pulled them over my armrest, into my contorting face? Nevertheless, there’s always a chance that a guy could start swinging on me – and I’d be fine with that. 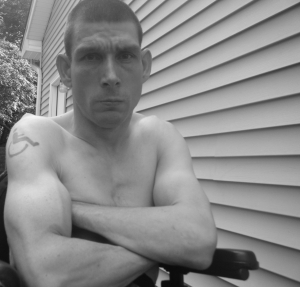 In my adult life with cerebral palsy, I’ve taken some hard falls, with bell-ringers to the head, so I don’t doubt that I could withstand a close-quarters punch to the head or two. I might even be flattered by the equality of it – at least until the third punch sent me snoozing into Lala Land. But, the goal, much like with my brother when I was a kid, has to be for me to never let it get to the third punch. Again, in theory, like a boxer holding his opponent close, as long as I’ve got my hands on him he’s not going anywhere. And, if he wanted to take me to the ground, a 400 lb. power wheelchair is going with us, and since I’m strapped in, I’m likely not the one it would land on. Ultimately, though, my absurd, in-your-face antics toward jerks in public are arguably foolproof: No matter how jaded our society, if people see an able-bodied guy trying to fight a guy in a wheelchair in public, some bigger dude is going to knock his lights out for picking on a guy in a wheelchair – there’s still that stigma that you shouldn’t punch a guy in a wheelchair. So, no matter what creeps do in public to tick me off, they’re going to have a tough time winning in the end – which is why I’m always courteous enough to offer them the opportunity to leave before I tear their pulsating, blood-dripping hearts from their chests and eat them (or before they’re torn apart by an angry mob for beating the daylights out of me, a poor, defenseless guy in a wheelchair). A friend recently had me send him a replacement thumb screw to optimally secure a shroud piece on his power wheelchair. It was held on by a remaining screw on one side, but, absent the second screw, it sat crooked, ajar. “I just want to shut people up about it,” he said, noting the non-stop comments from his family and friends, constantly asking, Aren’t you ever going to fix that thing? It really is amazing how bold people are toward commenting on our wheelchairs – and, when I say bold, what I really mean is unoriginal, idiotic, and even disability-phobic. After all, when was the last time a stranger made a creative, intelligent comment about your wheelchair? Chances are, rarely, if ever. …It’s always an unoriginal, idiotic comment like the greeter at Wal-Mart saying, Now, no burning rubber in here! ; or your uncle, Harry, who says, We should soup that up with a gas engine! ; or the nurse who asks, You’re not going to run me over with that, are you? ; as you follow her down the hall at the doctor’s office. My personal favorite – and, when I note favorite, I mean the most unoriginal, idiotic, never-ceasing comment of them all – is during every winter, when all I hear for six months is, Do you have snow chains for your wheelchair? And, undoubtedly, each person who asks me that wise-crack question thinks that he or she is the funniest, most original comedian out there – except that he or she really isn’t, merely stating the unoriginal and idiotic. Sixteen people made that comment to me on a single snowy day – I counted! – and I simply started replying, No, but I have duct tape… and I’m going to put it over the mouth of the next person who asks me that idiotic question! But, people kept asking, no less – there apparently isn’t enough duct tape to stifle the unoriginal and idiotic. The other one that I love – to hate! – is when people ask me why I don’t clean my power wheelchair, when they know that it’s been raining or snowing for a week. I always want to reply, If you drive your car to work in the rain or snow, it gets dirty, just like when I drive my power wheelchair to work in the rain or snow, it gets dirty. What part of this equation don’t you comprehend, Einstein? Most recently, I’ve inadvertently brought the unoriginal, idiotic comments toward my power wheelchair to whole new level, where they’re strikingly consistent, no matter the weather or occasion. I’ve had my “everyday” power wheelchair for about four years, and it’s gone through hell and back – driven thousands of miles, through countless thunderstorms and winter snow, caked in road salt for months at a time. And, so after such abuse, I understandably needed to replace my rear caster beam. In today’s limited funding climate, where many struggle to get basic mobility, it would have been unethical and immoral of me to simply order up a new caster beam for my wheelchair through my own company’s inventory system – there are too many people in need for me to be patching up my own wheelchair with new parts when such parts should go to others in need. Instead, I waited till our Service department had a used caster beam in reasonably good shape, and I had them recycle it onto my own wheelchair in need. The beam, as it turned out, was a different color than my frame; yet, that was of no concern to me – my goal was to have optimal mobility without impacting others with disabilities, so I was merely thrilled to have a good, used caster beam, regardless of color. However, I didn’t consider the single, unoriginal, idiotic question that my mismatched-colored wheelchair would forever invite: How come your hood doesn’t match the fenders? As if I’m stuck in a never-ending episode of Seinfeld, every unoriginal, idiotic Neanderthal asks me that exact question, thinking that he or she is freakin’ hilarious: How come your hood doesn’t match the fenders? I suppose that I could take the time to explain the socially-responsible reason why my caster beam doesn’t match the rest of my wheelchair, but it would be like trying to explain the moral dilemmas of Dostoevsky’s Crime and Punishment to a three-year-old. The larger issue is, however, why are people so quick to make unoriginal, unintelligent comments about our wheelchairs? After all, as those with disabilities, we don’t make unoriginal, idiotic, stereotypical comments to strangers about their appearances, nor do those who are able-bodied make such comments to each other. For example, a Wal-Mart greeter is allowed to say to a wheelchair user, Now, no burning rubber in the store!, but would be fired if he or she said to every overweight person, Now, no eating everything in the store! Both comments, at their core, are offensive; yet, culturally, one is allowed to call attention to a stranger’s wheelchair, but not allowed to make a wisecrack regarding, say, a stranger’s weight – what’s the basis for such a discrepancy of socially-acceptable behavior? The answer resides in remaining disability phobia, where some people just don’t know how to act around those with disabilities, so they try making small talk centered around one’s wheelchair – and much of it ends up sounding really, really stupid, if not downright offensive to some. I know a guy who works on the motor end of the power wheelchair industry, and based on my understanding of his background, prior to his entering the industry six years ago, he knew nothing of disability – and possibly still doesn’t. See, he knows me – and those around me – very well, but treats me very differently from others. When he sees everyone else, he greets them by name; however, whenever he encounters me, he simply says the same thing every time: Man, those motors are quiet!, referring only to my wheelchair. He’s said it to me hundreds of times, in every sort of setting. He could be talking to a group of people, and as I roll by, he’ll shout it at me – Man, those motors are quiet! It’s never, Hi, Mark, how are you?, just the same old, annoying comment: Man, those motors are quiet! Why, though, does he insist on shouting that singular phrase at me year after year, rather than simply greeting me like everyone else? The first possibility is that he has a clinical fetish for wheelchair motors, and can’t control his “urges” when I roll by. Of course, a more likely possibility is that he lacks the capacity and comfort level to interact with those who have disabilities, and instinctively focuses on that which he’s comfortable with – motors. Therefore, saying, Hey, Mark, how are you?, to me, the guy with the disability, is so far outside of his comfort zone that the best that he can squeeze out is, Man, those motors are quiet! Indeed, it’s a striving toward comfort level that ultimately motivates most of the unoriginal, idiotic comments that we receive toward our wheelchairs. People truly aren’t trying to be stupid and annoying, but actually gracious. Many without disability experience want to reach out to us as people, but aren’t sure how, so they stumble over themselves, using the obvious – our wheelchairs – as a conversational ice-breaker. And, that’s an effort on their parts that we should appreciate. Rather than avoiding those with disabilities as an unknown, others are taking the chance to start a dialogue with us – albeit, awkward, with unoriginal, idiotic comments – and it’s our role to then seize the opportunity, where we have a chance to engage with them in dialogue, where they then can see us as just people, after all. The next time that someone makes an unoriginal, idiotic, comment about your wheelchair – Do you need a license to drive that thing? – try not to be annoyed or dismissive, but use it as an opportunity to open an immediate dialog, where the conversation quickly moves from your wheelchair to you as a complete person. You’ll likewise be amazed at how quickly you, too, will see the individual in front of you transform from an unoriginal moron to a sincere person, where everyone’s initial assumptions breakdown, and you just become people talking as people. Most are lucky to have one influential figure in their life, and I’ve been fortunate to have several. Arguably my closest mentor today is Poppop, who everyone in New York City and West Palm Beach knows as my grandfather. Poppop isn’t my biological grandfather. See, I married into a traditional, patriarchal, New York Jewish family – a stretch for me coming from the wrong side of the tracks, of divorced parents, where I was raised borderline catholic at best. Yet, almost 20 years ago, Poppop welcomed me into his family, not just as his grandson-in-law, but over the years, closer to his literal grandson or son. Poppop is the real deal, a pull-yourself-up-by-your-bootstraps-and-make-something-of-yourself Jewish immigrant. He came to the U.S. as a child, and began selling leather wallets on New York City street corners during the 1920s. By the 1930s, he lugged a bag full of leather goods, selling door-to-door, experiencing tremendous discrimination as a Jew. 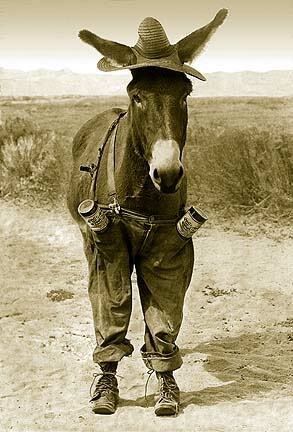 By the 1940s, he was the top salesman of a leading leather goods company. And, by the 1950s, he was president of the company where he was once a salesman. Then, his business accomplishments really skyrocketed. In the 1960s and 1970s, Poppop owned the largest percentage of the U.S. leather market, where if you bought any leather goods, from purses at Macy’s to the leather interiors of Cadillacs, it was from Poppop’s company. As he reached retirement age in the late 1980s, Poppop sold off the various components of his company, heading off to follow his passions of golf, travel, and charity, till this day dashing between West Palm Beach and New York City. As I went from academics into the mobility industry years ago, Poppop became my foremost mentor – my business school of sorts, teaching me much of what he’d learned about customer service, quality products, and, above all else, extraordinary ethics. What’s more, in recent years, Poppop has brought me into his circle of friends, where I’ll spend Saturday afternoons outside the kosher deli near his home during the summer, listening to stories by some of the greatest businessmen of all time, who founded mega companies that we all know today, who have over-the-top accomplishments like winning the America’s Cup in sailing. I admit that I don’t contribute much to the conversations – as I can’t hold a candle next to these guys – but I use every opportunity to ask questions and listen, learning all that I can from these amazing men in their sunset years. You’re only as good as your product, and your product is only as good as you. If your product or service isn’t self-evident, then you don’t have one. The only way to make money in the longterm is to put people before profit. Never, ever speak ill of a competitor or product, as it does nothing more than reflect poorly upon you. The only opinion that counts is the customer’s. These are just a few of the creeds that I’ve learned from Poppop and his peers, and they are tenets that I’ve striven to apply without compromise within my roles in the mobility industry, where my goal isn’t to be a titan of business, but to merely do what’s right by my peers with disabilities. In this way, you’ll always see me practice what I’ve learned and believe, and noting my now trademark consumer-centric phrases like, The question isn’t what’s the best wheelchair; rather, the question is, what’s the best wheelchair for you? and, If you think it’s the best wheelchair on the market, then you’re right – your opinion is truly the only one that matters. And, as I trust you’ve witnessed, I live by those mottoes. Sure, I work for a specific manufacturer, but like a doctor who’s taken the oath, my moral, ethical obligation is to put a consumer’s mobility above all else – after all, that’s what the mobility business requires. I’ve been inspired that many others in the mobility industry share my ethics, where many recognize that no single product is right for everyone, that we must have equal respect for all products that liberate consumers. Yes, there’s business competition, but there’s also an unspoken, ethical agreement that you don’t engage in any practices intended to deceive or harm consumers’ interests to simply sell your product over another. And, all have followed that business ethic in our industry to a remarkable degree – that is, till now. I’ve been disheartened in recent weeks as I’ve witnessed the mobility industry become fractured by a sole manufacturer who has violated our code of conduct by distributing a video that ultimately bashes many of us competitors in the industry. Even worse is that the video intentionally strives to mislead consumers, a ploy to put money before mobility, profit before people. For the sake of integrity and standards, I’m not going to mention the manufacturer or link to the video, but in no uncertain terms, they use trickery and video editing to make virtually all leading power mobility products look really, really bad – to the point that if their efforts weren’t so shameful and unconscionable, it would be comical. To give an analogy of how rigged the video is, it would be like a boat company showing how their competitors’ boats will sink, while they’ve clearly drilled holes in the bottoms. Of course, mobility products aren’t luxury items like boats, but are profound, life-sustaining devices that we rely on for our independence – and that’s why I find the manufacturer’s tactics and video so disturbing. For a manufacturer to spitefully disregard the value of our lives as those with disabilities by putting out a deceptive, misleading video of trickery, designed to scare consumers away from all mobility products that compete against theirs, crosses a line of basic human integrity. The question, however, that I have is, Why did the manufacturer – and ultimately its individual employees – go as far as to make a video bashing among the mobility industry’s most-proven products and strive to deceive consumers? To answer the question, I have to go back to sage advice from Poppop and his peers: Nothing clouds business judgment like desperation. If the manufacturer is losing the battle in the mobility market bit by bit, I suppose they figure that they’re down to their last option: Play dirty. Undoubtedly, some will fall for their skewed, deceptive, heavily-edited video, so they’ll get some results. And, maybe they’re even glad to have gotten under my skin, high-fiving each other in their cubicles, saying, See, we even got Mark E. Smith talking about us! However, any scant results from the video can’t make up for the loss of respect that they’ve invited by offending virtually everyone associated with mobility products. Indeed, their video makes me angry, and even a bit ashamed to know that a manufacturer in my industry would stoop to such low levels. 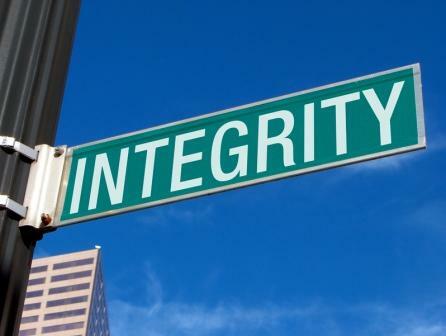 However, I ultimately have to cut them some slack, knowing that they haven’t been as fortunate in life as me, where I’ve had Poppop to not only teach me the right ways to succeed in business, but, most importantly, how to live with true integrity.